When it comes to choosing the best livestock fence for your farm, ranch or land, there are many factors that can influence your final decision. You will need to take into consideration the fence location, the proposed use and your available budget along with the style of livestock fencing you prefer. While choosing the best livestock fencing is one of the most important investments a land owner will make, the two top priorities in your decision making process, above all others, should be safety and durability. Other factors to consider include containment, maintenance and aesthetics. 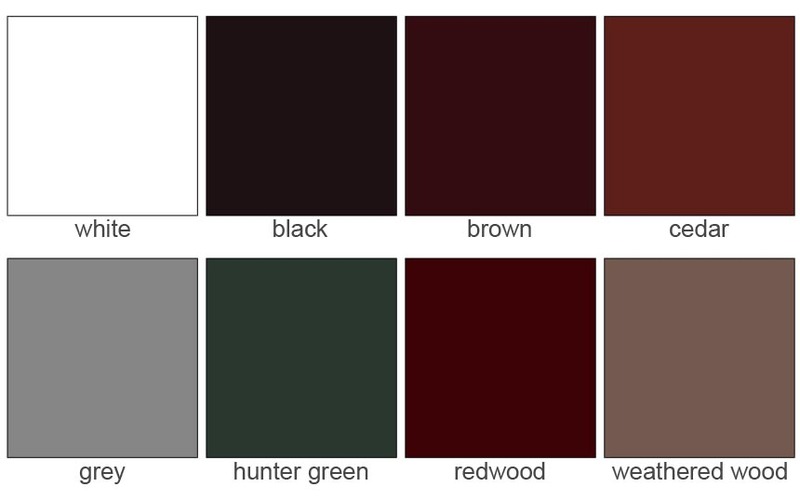 Choosing the right fencing material for your particular project is a very important first step in researching horse fence products. There are both positives and negatives to many of the commonly available livestock fence materials but ultimately, safe livestock fences need to be flexible (bend or give) but not break, be highly visible, extremely durable and virtually maintenance free. Derby’s unique thick-walled construction makes our HDPE livestock fences the sturdiest and safest of all polymer fences available on the market. Derby Fence is manufactured from High Density Polyethylene (HDPE horse fence) and will not become brittle even at 60 degrees below zero and will absorb the impact of a full extended leg kick from any breed of Equine or Bovine. Generally, land owners want the most durable livestock fence they can afford. Derby Fences are strong, durable, aesthetically beautiful, easy to clean, stain resistant and virtually maintenance free for years. The rails and posts are manufactured out of high-density polyethylene (HDPE) materials that will not shatter or split in extremely cold weather. Derby Fencing withstands temperatures as low as -60 degrees Fahrenheit, contains no arsenic or chlorides and will not contaminate water or soil. HDPE is also impermeable to acids found in animal wastes. Fencing is an extremely important safety consideration for your farm, ranch or land. Ultimately, your budget is going to determine the type of livestock fencing you choose for your project. The style and type of fence that you need will depend on several factors. A High Density Polyethylene (HDPE) Derby Fence is the right choice if you are looking for a safe, durable, and virtually maintenance free livestock fence product that is the ultimate fencing solution for any location or climate. Livestock fencing is a major investment that requires exhaustive research and diligent planning before you make your final decision. If you have questions about your location, type of fence, material choice or cost, please contact us. We are uniquely qualified to answer any questions you may have about livestock fencing. Ultimately, you will choose a livestock fence that meets your budgetary requirements and personal preferences, but please always keep safety and durability as top priorities. 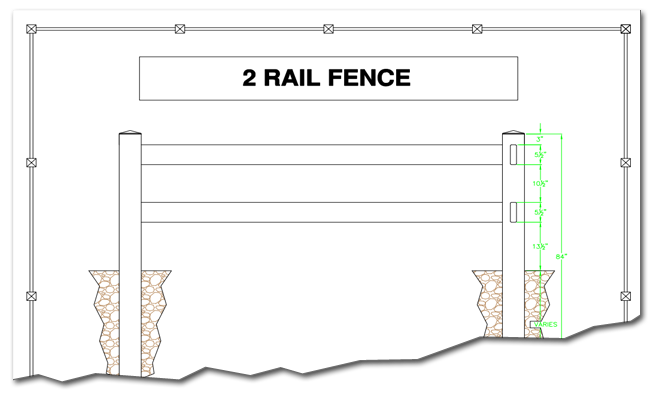 Define your space with our Two Rail HDPE Livestock Fence or Ranch Fencing. It blends beautifully with any architectural style and is a great way to add a touch of elegance as a perimeter fence. A two rail HDPE livestock fence is suitable for arenas, pastures and to enhance the looks of an entryway, with enough visibility to deter livestock from crossing and appearing suddenly in front of a vehicle.